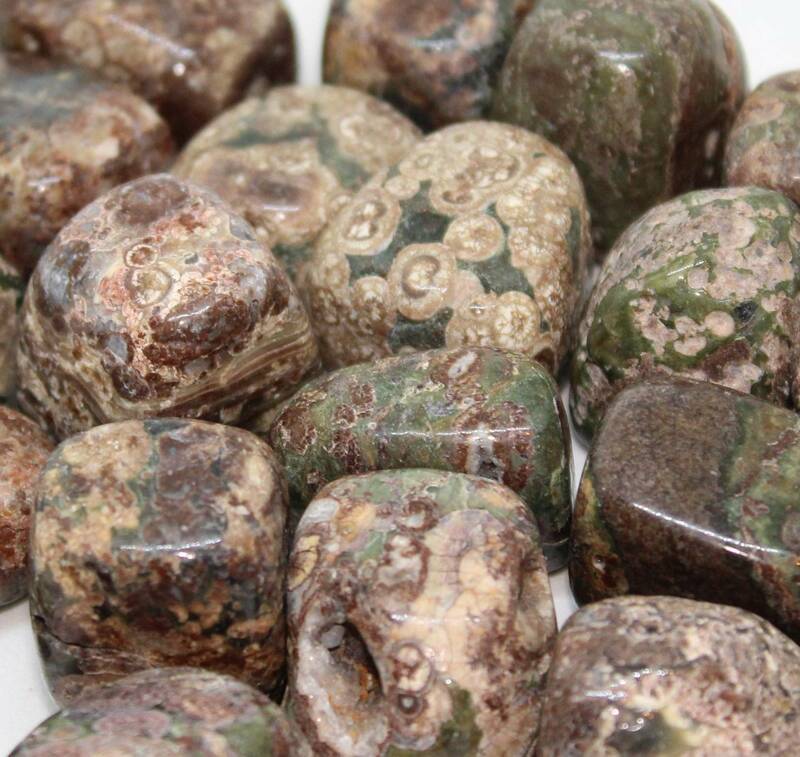 Lovely tumbled Ocean Jasper pieces, available in a few different sizes. 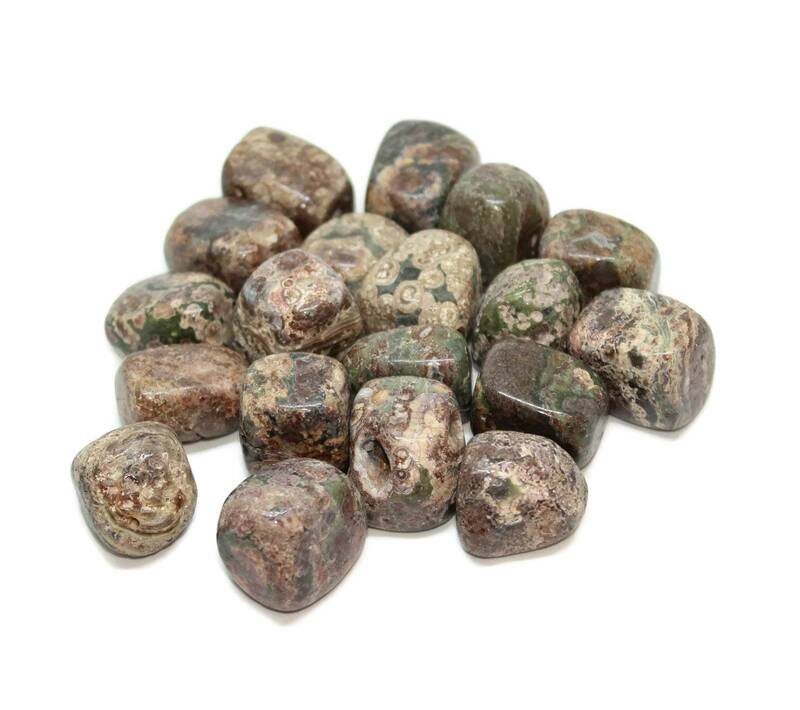 Interesting Ocean Jasper tumblestones, available in three sizes and two different quality grades. The grade A pieces have far less gaps and inclusions and are higher quality stones overall. Because of their nature, these stones are an interesting mix of colours. I personally prefer to display mine not mixed with other stones – they do look great in a wooden bowl. We sell some other Ocean Jasper items – please see our ‘Ocean Jasper’ page for more information about the stone, and a list of our products.